So rather than do my typical Mystery Box post, for each box, I’ve decided to do two big posts. Each post will cover 8 boxes, their contents will be linked to a previous post and next to each item I’ll include the original donut cost (if applicable). This will help you get a sense of what’s inside and what the value of each item is. Since you can’t pick and choose what to buy from each box, you’ll have to make your own decisions based on what you like/want and what you can afford to spend. Hopefully, the linked posts (and original costs) will help you make that decision. So here we go with the first round of boxes, everything from Creatures to Youngsters! It’s that time…calling all Springfield designers! 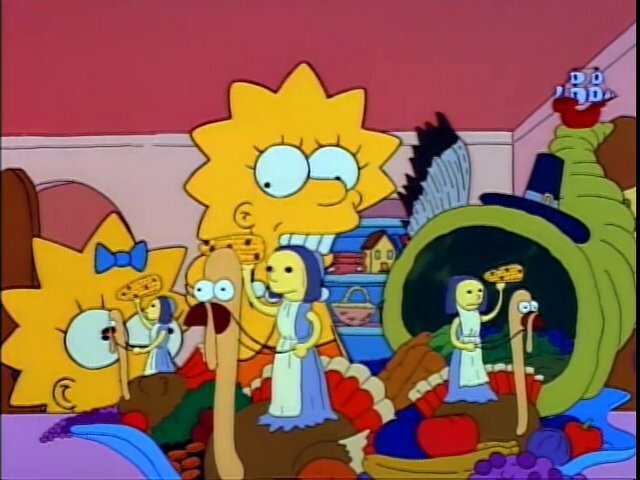 We’re getting ready to do the next Springfield Showoff featuring your Treehouse of Horror (Halloween) and/or Thanksgiving inspired designs! So prep those towns…because we want to see what you’ve done with your Springfield! I was reminded over the weekend that we forgot to do a showoff for Halloween, so no better time than the present to make up for it! This time, since we’re smack dab in the Thanksgiving mini-event, I thought we should combine the showoff to include all of your fall holidays..Thanksgiving and Halloween! I want to see what you’ve done with all that stuff! Because who doesn’t like seeing what others have done with all this new stuff?! So send us your Halloween and/or Thanksgiving inspired designs and we’ll be putting up the Showoff post, featuring your designs on Wednesday, November 28th….so you’ve got a week to prep your towns. Take your time, design as you see fit and send us the designs when you’re ready. So work on those designs and send us some screenshots when you’re ready…just make sure to send your submissions in by about 8pm ET Tuesday, November 27th, 2018. Can’t wait to see what YOU have come up with.